I just returned from an epic vacation in Oaxaca, Mexico and thus am still processing all the new imagery taken on the trip. 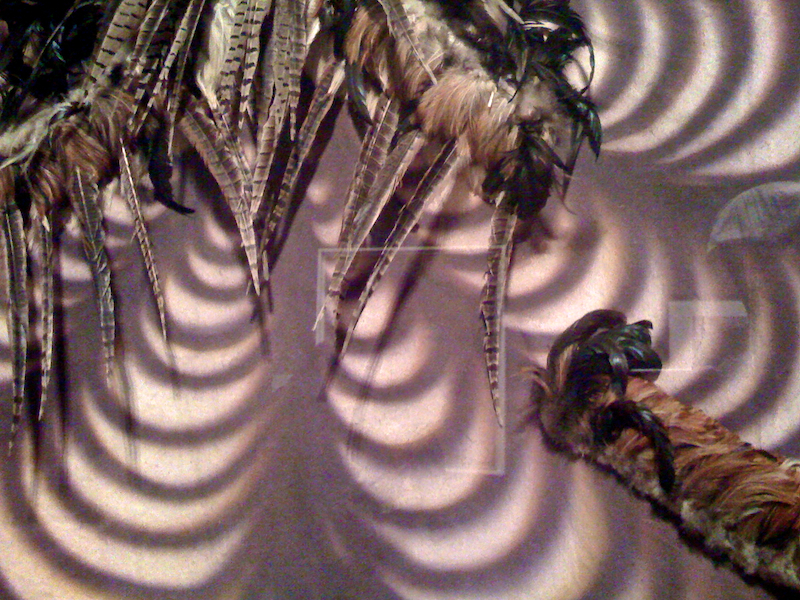 In the meantime, I figured it appropriate to post this snapshot of feathers and fabric to get the ball rolling. This was covertly taken in the De Young Museum during an exhibition on Asian art. While it looks like there are shadows and lights reflecting in the image, this is actually the pattern on a very elaborate fabric cape. The feathers are real and the entire thing was encased in glass (if you look carefully, you can see subtle reflections of me in my fancy hat at the middle right). I hope everyone had a spectacular, relaxing winter break, and are well rested for 2010—what I am hoping will be an epic year.